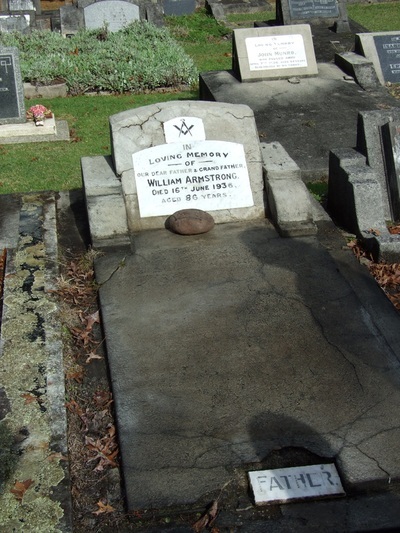 Our William Armstrong, Jr. was BORN July 10th, 1850 at Coxtown, Donegal, Ireland to William Armstrong, Sr. and Anne Beatty. From "The Armstrong Reunion Book of 1984" (see tool bar - currently listed under Reunion News!) we learn the following information about William's life and family: William Armstrong came to New Zealand from Ireland when he was about 25 years of age and participated in the Gold Rush at Thames and Ohinemure. 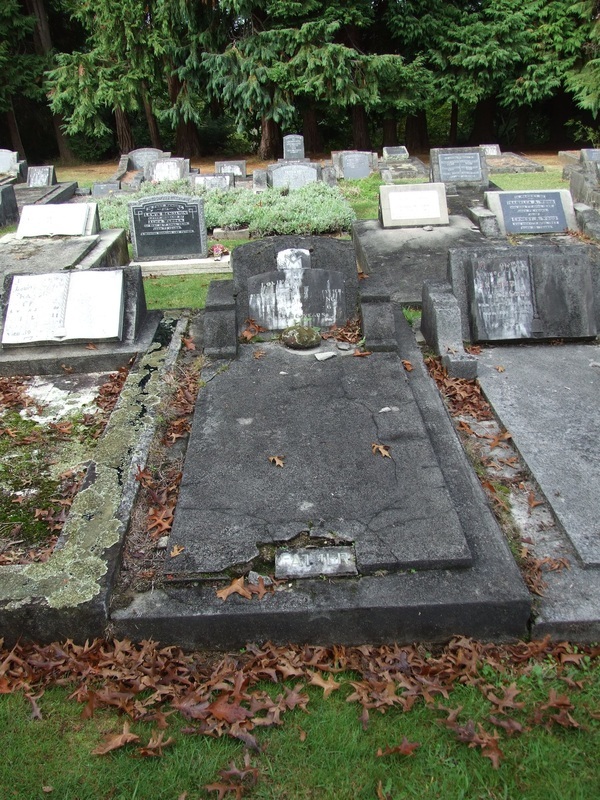 He spent many years prospecting and was employed for a long period by the Kauri Timber Co. at Thames. 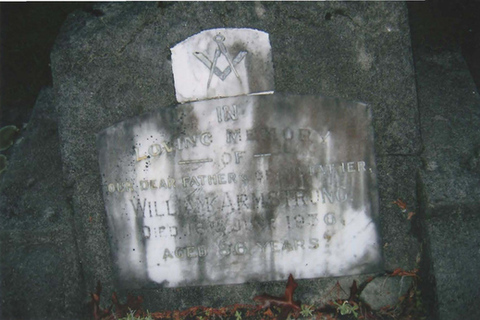 The headstone of William Armstrong, Jr.! Photograph & Transcript contributed by cousin Lisa in NZ. Karorina Matemoe and William Armstrong, and loved ones honored here! E-mail Aug. 29, 2013 - Thanks Cousin Cedric & Karyn of New Zealand for these. QUOTE: "My Great Grandmother Karorina was married to William and is buried near here in Tauranga. 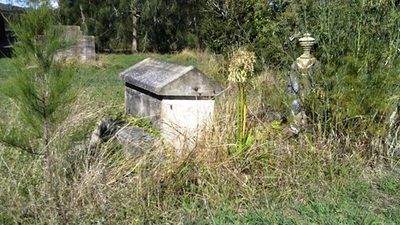 Karorina is buried at Karikari down to right of Tamapahore Marae (looking from main road). 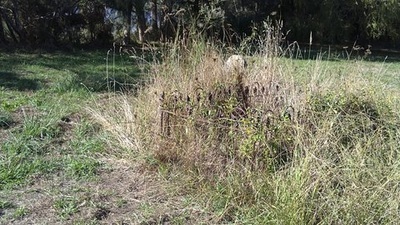 Her grave is not marked but there is a memoriam stone inside the urupa. The cemetery is just in from the entrance to the Hamilton Gardens. As you drive in to the gardens take the first turn left and it leads you straight to the cemetery. Go straight up past the toilet [on the right hand side of it] straight towards the map/utility shed further up, turn right and follow the road right around until you are directly behind that building on the same road. 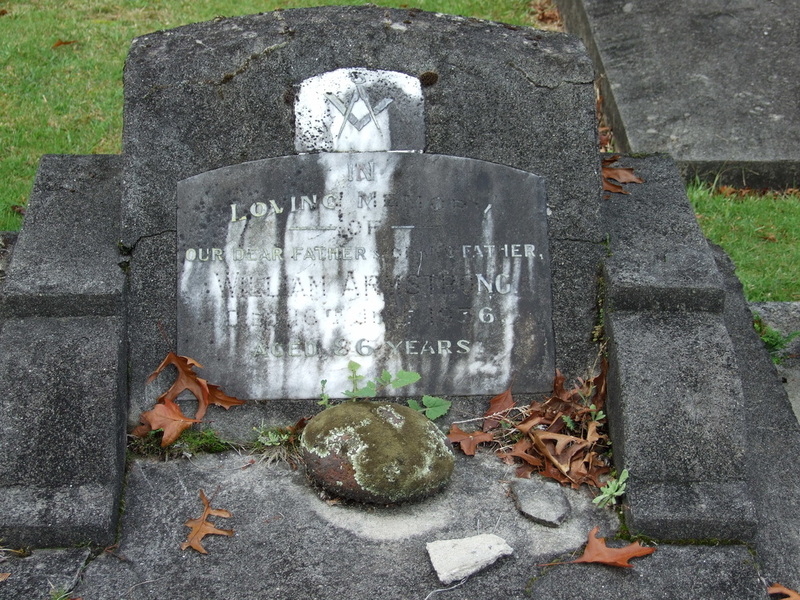 The grave is in the third or fourth row on the right of the road. Dec. 20, 2015 - sample of comments posted on William Armstrong -Karorina Tikipoti fb page. 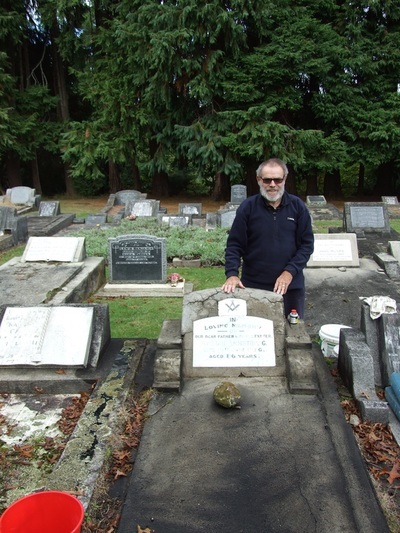 Alan Cockle "Visited Koro William Armstrong moenga at Hamilton East Cemetery today its been beautifully restored by the awesome mahi of Uncle Bill Armstrong and the whanau team." 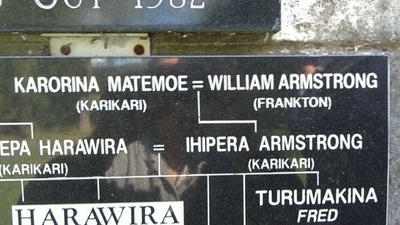 Kahu Hotere "My great great grandfather. The headstone is lovely. 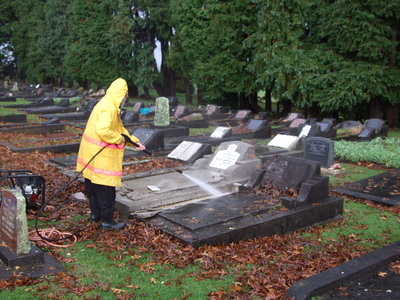 Thanks uncle Bill and all who helped. Arohanui." Waimihi Hotere "SORTED!!! KA PAI Uncle!!!" 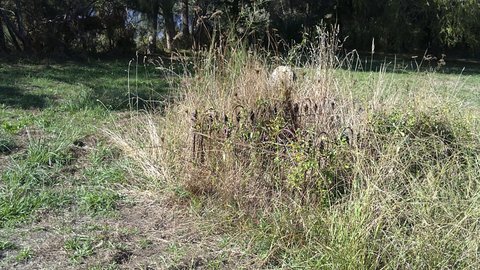 Ngamiri Hapeta "BEAUTIFUL RESTORATION.THANK U UNCLE BILL FOR YOUR DETERMINATION TO STORE OUR GREAT GRAND FATHERS GRAVE,ITS NOW HERE FOR ANOTHER HUNDRED YEARS OR LONGER. 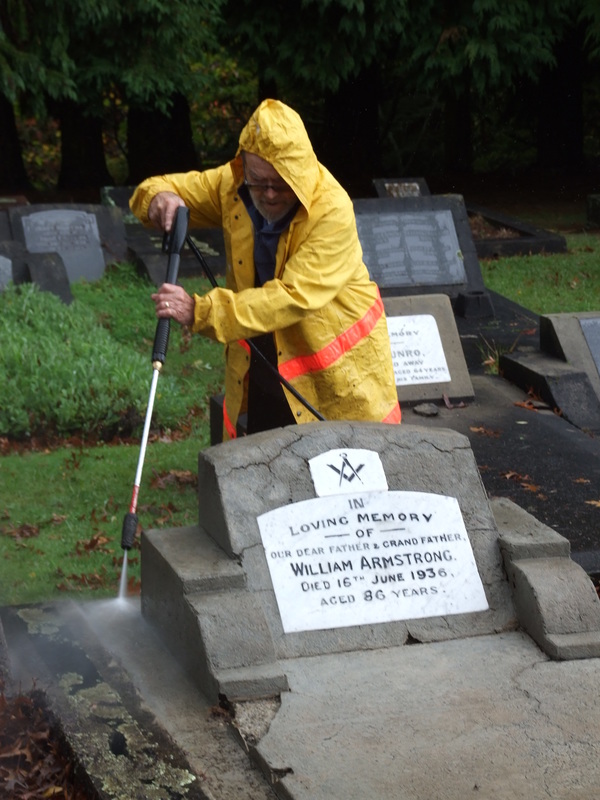 THANK U BROTHER DONALD HERBERT AND ALL OUR OTHER LOVELY RELATIONS WHO PITCHED IN TO COMPLETE OUR TUPUNA HEAD STONE N BASE." 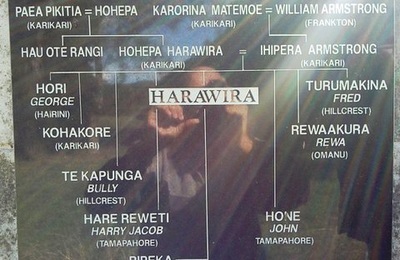 Verbena Harawira "oh Bill. you have done an awesome mahi on our Koroua." Ngamiri Hapeta I would like to thank our uncle Bill who started the ball rolling of restoring William Armstrong, our great grand dads head stone ,and to thank our Brother Donald Herbert for his expert knowledge on such a beautiful out standing job. He and uncle Bill worked tireless till its completion.thanking all whanauga for also pitching in on occasions as well..ka mau te wehi .so great to see this stone actually completed and restored to last another hundred and more years to come." If you have additional information, the entire whanau would welcome it, throw you a party, have your name emblazoned upon the annals of history, name their first born after you....! Hahaha! Just sayin'. *HONESTLY, if you have better quality scans/copies of these photographs, will you share?